Growing up outside of Chicago, I always loved going downtown. My sister, mom and I would take special trips during the holidays. We would stroll up and down Michigan Avenue admiring the decorative window displays while checking some holiday shopping off our lists. Now that I've moved back home, I have a greater appreciation for how close I live to such an amazing city like Chicago. Every week I head downtown for work and each time I get to venture out to a new part of the city. Since there are so many different neighborhoods, there's always a new place explore and restaurant to try. That being said when friends come to town I like to show them some of the "touristy" spots. A few spots that are easily accessible from the train and usually be fit into one day. 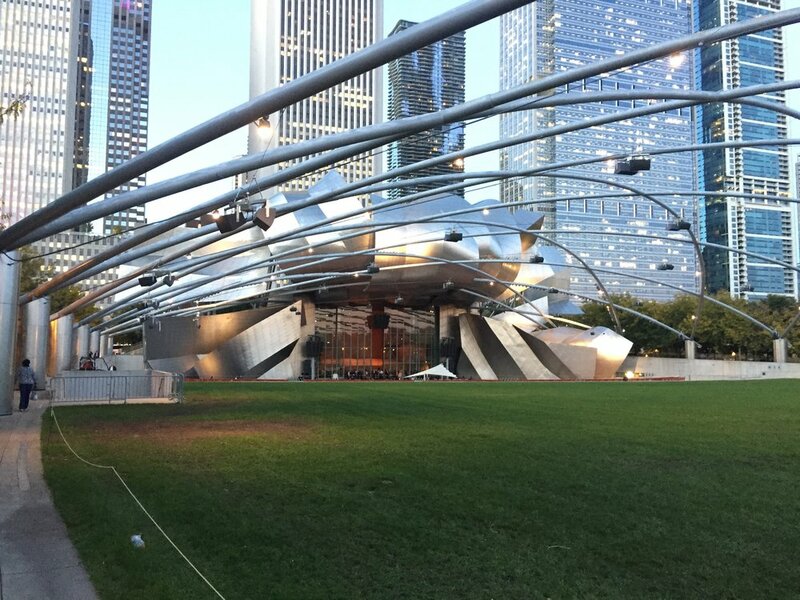 Our first stop never fails to be the "Cloud Gate" -- or as most people call it "The Bean". It's got some pretty magnificent skyline views (hence the name "the Magnificent Mile"). I think it gives people a good taste of what Chicago is all about. When I lived in Kentucky for four years I would hear a lot of negative comments and references to the city such as "Chi-raq". I would try not to get upset but it's frustrating when people don't realize how much this city has to offer. So I made it my goal, every time a friend comes to visit, to change this negative opinion of the city. Next, we'll head down Michigan Avenue to take in the views from the River Walk. It's one of my favorite spots, especially in the summertime. Something about the way the city lights up at night by the river makes me feel some type of way. My go-to restaurant is Quartino, an upscale Italian family-style restaurant located on N. State St. The atmosphere is so lively and energetic, plus if you can grab a seat outside it's a great place to people watch. Then we'll head over to Navy Pier to take in some more amazing views and check out a few rides, like the brand new Ferris wheel, which is now heated and open all year long. If my friends are feeling adventurous, I take them on the blue line to the Damen stop to check out Wicker Park. It's my FAVORITE neighborhood. It's got tons of cool restaurants and great shops. Not to mention some awesome wall murals. What I love is that no two trips are the same! When I hear a friend say they love Chicago after their visit it makes me happy knowing I showed them the city I know and love. What's are some of your favorite go-to spots in Chicago? Let me know down below! Stay tuned. I head to New York next week and I'm super excited to take as many photos as humanly possible. Will I look like a tourist? Yes, absolutely. Will I be ashamed? Heck no.